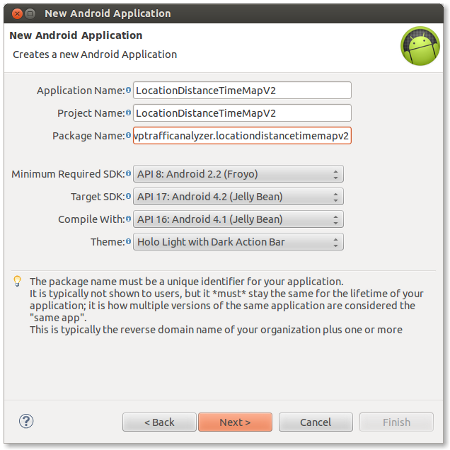 In this article, we will develop an Android application which displays driving distance and travel time between two locations in Google Map Android API V2. It also draws polyline along driving route from start location to end location. 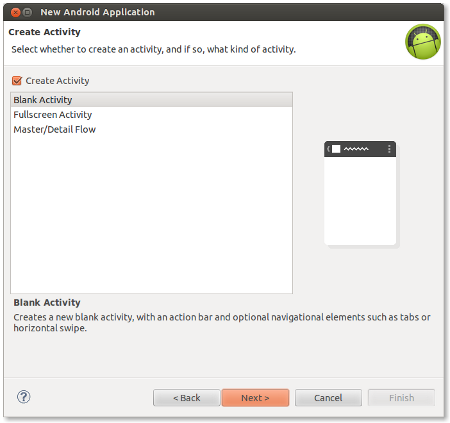 Screenshot of this application is shown in the Figure 7 below. Note : At line 46, replace “YOUR_ANDROID_API_KEY” with the Google API key obtained in Step 8.
in source it will not showing any error.but when i running it shows “ur project contain error”can u please send exact project with apk to my email. I am not sure whether this is your problem. Wow you’re awesome sir.. big thanks for you.. I want to ask you again if you wish. in my final project in college, I wanted to create a custom marker with an image that I put in drawable (Local Storage). if the maps V1, I still know how. but if I want to make in V2 maps, why not work? sorry if I am asking a lot, but I really appreciate you for your help so far. how do if I want a custom marker on maps v2? Google map in android application step by step list of directions such as left and right how can I do traffic direction signs. You can do it this way or example. 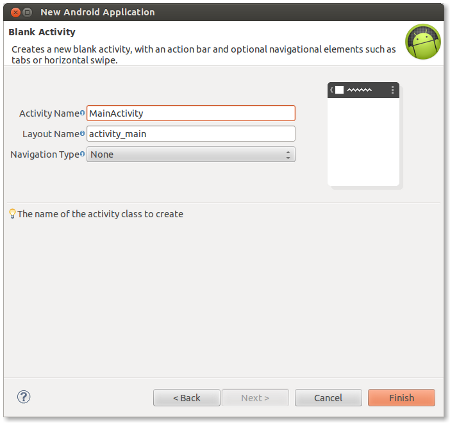 Since, Google Play Store is not available in emulator, we can not run Google Map Android API V2 applications in emulator. 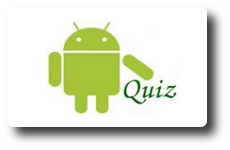 I tested this application in a real Android device. Thanks, now working fine on device, i am also looking for Android Proximity Alerts in MAP v2. any help. Mr.George. Please help me! The Map doesn’t show when i run it. why? but i got no error in building the code also, i change the said API KEY. :’( I really need your help. PLEASE! if the route have more waypoint, what needs to change in the code to get the distance and time for that route. Thanks for the tutorials, very helpfull. Quick question…how can i get access to the points from the jason file in their arraylist? I worded that badly…it draws the maps…but I want an arraylist of latlng points back in my mainactivity file. Cant for the life of me figure it out. Was just trying to use the points array from the bottom but its always null if i try and call it to the top. Assign the argument variable “result” of the method “onPostExecute()” to a member variable so that we can reuse it in the class “MainActivity”. First, thanks for your great tutorial! This project is aim to Showing Driving distance and time between two locations. Wonder can how can I get the time on ‘walk’ instead of ‘Driving’? Add the parameter “mode=walking” into Google directions url built in the method getDirectionsUrl() of the class MainActivity. pardon me. Is the url like this? Wonder can how to make driving distance, travel time and draws polyline along driving route from my location to custom place which we mark in program?? Hello Sir, I want to ask you. how to use the distance and travel time as the data in the calculation? because when I use the data directly, application errors and should be forcibly closed. please ur help and thank you before..
= because when I use the data directly, application errors and should be forcibly closed. Can George test the application can be run success now? Yes, It is working. No issue is found. how can i show distance and time travel from my location to nearby place such as hospital when i click the marker? any help please? Thanks for sharing such a nice code….Have a good day..! Thanks for the post.Can we add distance and duration as label on the polyline? Hello Sir, I would like to ask. In my final project in college, I wanted to make application directions by car object using Goggle Maps, I’ve tried the tutorial Driving distance and travel time duration between two locations in Android Google Map API V2, but here I was asked to prove the route pointer journey from google maps and Google Map route pointing journey using Hill Climbing. Roughly how to implement it. Driving distance and travel time duration, Can be int or not? Please help me. This site is so helpful, the code is simple and great. Thank you very much! I think there is some error in your layout file. Please ensure that, the package name for SupportMapFragment class is specified correctly. Hello George which one i should change? i have the same problem with this project, can you help me George? But george, may i ask you how to make exceptions, so when no internet connections the apps will not crash if users tapping on it. maybe some TRY catch? I tried installing it on my phone however no map is displayed. I need help. I got it working now. However when I tried to install to my galaxy note 10.1 its not running. Help! Hi Miguel. I have the same issue on this: “no map is displayed” how did you fix it? I did that already but i just got the white screen & the zoom out zoom it. Hi guys. Please help me. I am getting white screen while after installing app on my device. I used the android api key. What do you think is my error? Thank you so much! Hi Sir George. Thanks for replying. Google API Console, do you mean here? I already enabled that sir. Sir. George. I send an my project on your gmail account. Can you please check if you have a time? Thanks so much! It’s a screen shot Sir. George of what i’ve done. Thanks again! * I send my project on your gmail account. Am getting force close. Activity is not open. I done all the steps exactly same. Can u guess whats the fault. I want to set destination to a specific location, and then from my current location the app will take me to that location. i have error sir can you help me? Is there any possibility to get all intersections from a drawed route? If yes how I can do that? Can you know the driving distance and traveling time in a route with waypoints? really good example helps me allot but if i want duration in traffic. With no doubts your tutorials are the best I managed to find on the web. As many others said thank you very much for this. Small question however, how can I implement a logic which will display nearby points of interest (which I would store locally within my app, ie: an XML) along the driving route? Thank you for this tutorial sir..
Sir, Do you have the code to calculate and show distance between two places in map where the places name are selected from spinner? it’s work perfect for my app..
sir,how can we enable gps in this tutorials which provides arrrow when we start our traveling from source? First I wnto to say thanks for your blog, and your answers. 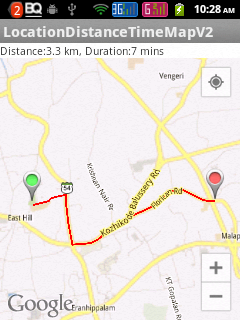 I have a problen when i Try to get a route like a bike, its because here is not able that info. However I have all the geopoints that can describe the cycle-Path that are designed for bikers. I have painted in my map, the cyle-path net, but i want to join those criteria to calculate a route like a bike. My I will need to create my own algorithm, please if you know how, or have any clue, please letme know. please help me with this exception. Done all the required changes but this exception is not going and it is force closing my application. Please help!! Sir, i have to convert the duration totally in minutes. in this tutorial you have made duration as day,hours and minutes but i have to convert all those into minutes…. Please reply sir. Please tell me distance and duration will update with the location changed? Your the best! Thank you so much!!! It can be used as taxi drivers? Hi, thanks for this awesome tutorial. But i got an error could you help me? I did same things with you but failed. Hello Sir,Google documentation says Distance MAtrix api requires API_KEY,Here you are not using api key.Is it ok to publish an app without API_KEY in play store. I try calculation between data distance with custom value and it could not be done because of the distance value of a string value. How to add information cost of distance calculation with custom value ? Hey George, thanks for the tutorial ,i am having issue when i run the app on my device ,it says the Unfortunately the app have stopped working..
Also can you provide the apk file of the above project.. I am building an app which has to calculate distances from pickup location to drop up location.?? There is a differnce between ETA i get and ETA on google maps between two locations, will you help me to sort this out. how do i pss static values for origin lat long and destination latlong??? Can I use a street address in JSON request (like “1600 Amphitheatre Parkway, Mountain View, CA”)? Not LatLng! I am following your tutorials since last six months and these are indeed really helpful. Thanks alot sir..!!! Hi George, nice tutorial it worked for me.but I have small issue.I am new user to android.As my knowledge,it marked the path both locations approximately by nearby location which identified by google.That means the starting and end point of the path is nearby location of two locations.Can I add distance from exact location to nearby location as straight line and calculate the distance? 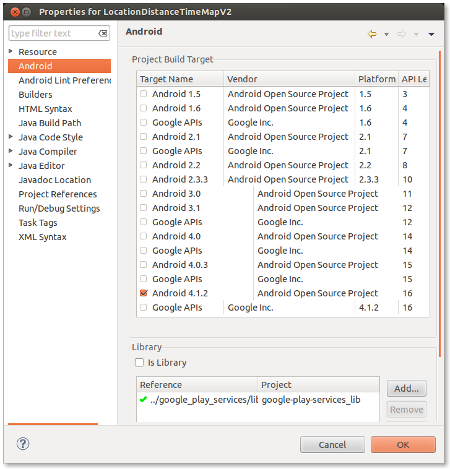 If use these codes at Android Studio, does it works? Because i having problems using these codes at Android Studio. 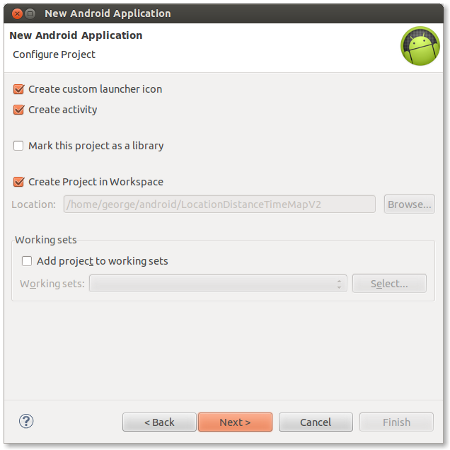 The tap and calculate the duration functions are disappear on the google map when i executed it on Android Studio Emulator. Can you help to explain what happen? Plsss… Tqvm. Hi,how to show up the location address as info window on marker? map = fm.getMap(); deprected any solution? In my project i found, when compiling JSONObject parentObject = new JSONObject(finalJson); this line it shows unfortunately Application as stop without any error. svp Mr. George; tu peut m’aider à une application android programmé ( code source) pour éviter la cpngestion routière ? It cannot find distance outside the country and it shows “No points” and result size 0; why?Like london(latlong) and new delhi(latlong). hello? i just want to know if this application shows the current location of the user? thanks a lot! a big help!